Designed to bring students at risk up to speed with their literacy and phonic skills. The activities aim to help children identify and distinguish the individual vowel sounds and their variants as well as the many combinations of vowel sounds (digraphs) that make up the English language. Containing a range of concrete worksheets and review sheets, the books can be used to complement an existing literacy program or with older students who need extra help with basic reading and spelling skills. 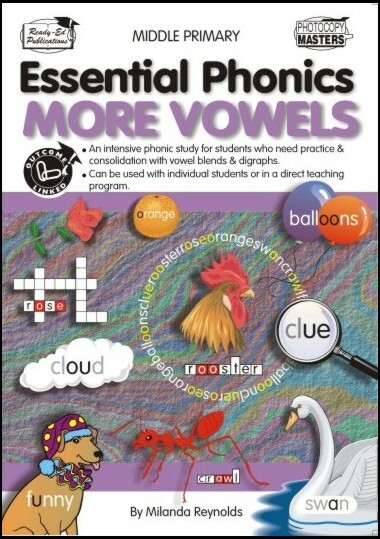 Essential Phonics: More Vowels (NZ Version) 831789 14.95 readyebooks Fresh Download Available!